Spada 2000 is an upgraded version of the Spada air defence system with increased firepower and range. 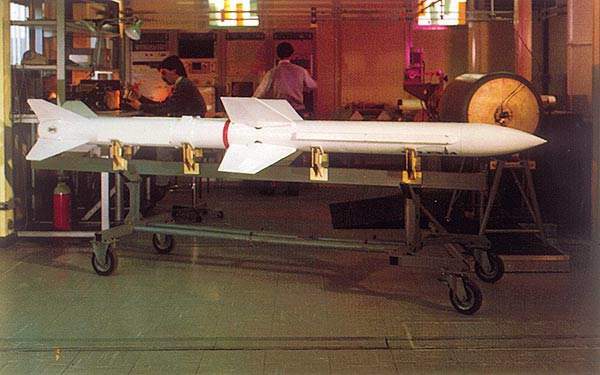 The Aspide 2000 missile uses semi-active radar homing and has a range of 25km. The Spada 2000 system can engage up to four targets simultaneously with Aspide 2000 missiles. The system tracks and prioritises targets, assigns the firing sections to the targets and can also assign targets to other air defence systems. The Spada 2000 air defence missile system shortly after being fired. 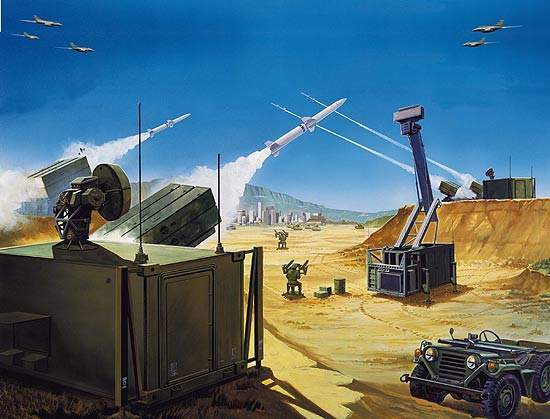 Artist's impression of the Spada 2000 air defence missile system. The Spada 2000 is an all-weather, day and night, highly automated, air defence system developed by MBDA (formerly Alenia Marconi Systems). The system has quick reaction time and requires very few operators to man the system. The unit can operate independently or can be integrated with national air defence centres. Spada 2000 is in production and in service with Spanish Air Forces. The Spada 2000 is an upgraded version of the Spada air defence system providing significant operational and technological improvements, including increased firepower and range, and the capability of coordinating additional anti-air weapons. 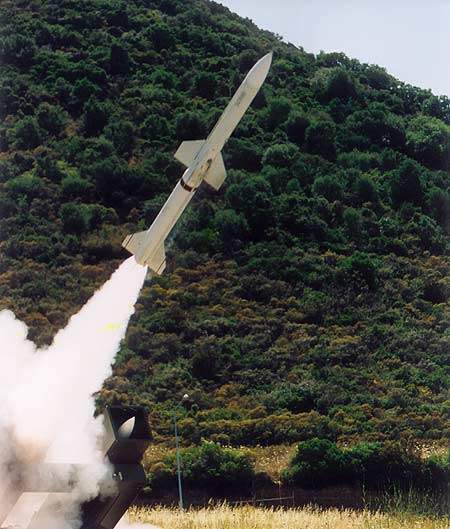 In March 2007, Kuwait ordered the upgrade of its Aspide missile systems to Aspide 2000 / Spada 2000 configuration. "The Spada 2000 is an all-weather, day and night, highly automated, advanced air defence system." The system provides air defence missile coverage of 2,000km². Target detection and tracking range is up to 60km and the missiles can intercept crossing and approaching targets to a range of 25km. The kill probability is high, even against highly agile crossing targets. The system can engage up to four targets simultaneously with Aspide missiles. Spada 2000 is modularised and integrated into sheltered units, which provides a high tactical and strategic mobility. The system consists of a detection centre and either two or four firing sections, each section equipped with two missile launchers. 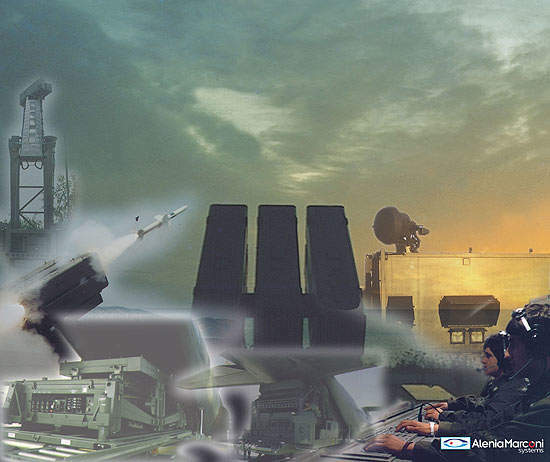 Each missile launcher has six ready-to-fire Aspide 2000 missiles. 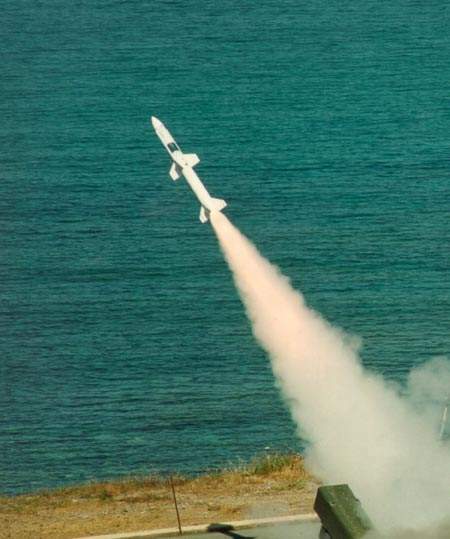 The Aspide 2000 missile is an upgraded version of the Aspide surface-to-air missile. The missile is capable of engaging hostile attack aircraft before the aircraft can release airborne standoff weapons. The Aspide 2000 is also capable of intercepting air-launched missiles once launched. The upgraded missile uses an enhanced single-stage rocket motor which provides increased missile speed, higher lateral acceleration and effective range. 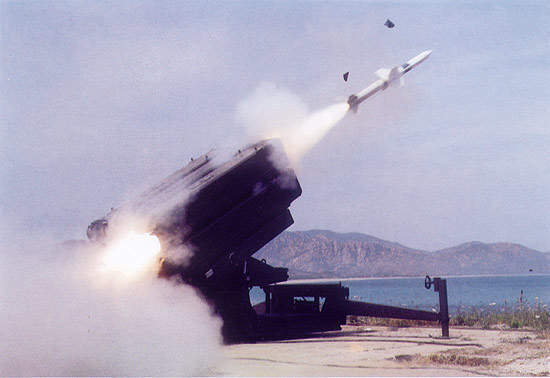 The missile is also in service with the Italian Air Force and the Royal Thai Air Force as part of the Oerlikon Contraves Skyguard air defence system. 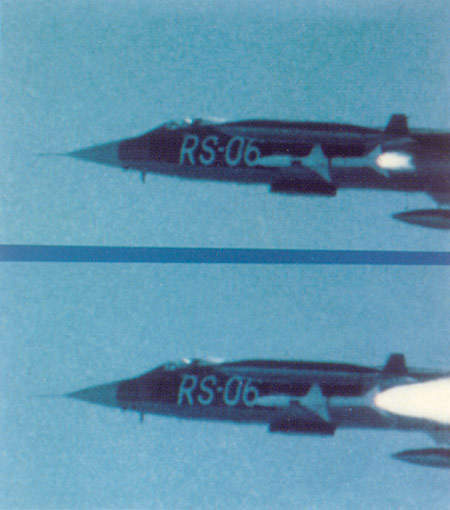 The high-thrust single-stage solid-propellant rocket motor provides high supersonic speed and high agility to intercept manoeuvring targets. The guidance system is semi-active radar homing. The detection centre contains mission planning capability allowing fast and precise effective deployment of the weapons. The centre is fitted in a hardened shelter with an RAC-3D radar installed on a hydraulically operated mast on the roof of the shelter. The shelter houses the system’s operating centre, including the voice and data communications suite. Auxiliary equipment in the centre includes a global positioning system, a north finder, air conditioning and power supplies. Aspide 2000’s radar is the Selex Sistemi Integrati (formerly Alenia Marconi Systems) RAC-3D, which gives three-dimensional volumetric air surveillance, detection and tracking. The system has the capacity to track 100 targets simultaneously within a range of 60km. The radar is capable of operating in hostile electronic warfare environments and is robust against clutter interference and electronic countermeasures. The radar features emission control, jamming location, random frequency agility and coded waveforms. The radar’s erectable antenna is up to 13m in height. The operations centre is manned by two operators for mission planning, system deployment and management during combat operations. The computer displays the air threat data in 3D coordinates. The system tracks, identifies and prioritises the targets and assigns the firing sections to the priority targets. The targets can also be assigned to other anti-air weapon systems. The system is able to coordinate up to ten small anti-air weapons deployed within a 10km radius. The operations centre can be connected to a remote upper level air defence command centre. "Spada 2000 is modularised and integrated into sheltered units, which provides a high tactical and strategic mobility." The firing section consists of the tracking and illumination radar, the control unit and the missile launchers each with six ready-to-fire missiles. The radar carries out target acquisition, tracking and illumination functions for missile guidance. The control unit is managed by a single operator. The unit controls all the functions from target designation to missile launch and target intercept and operates in manual or automatic mode. The communications suite includes the data links between the detection centre and the firing sections and also internal and external secure voice communications.